White wares with carved and incised decorations have been produced from the beginning of the Tang Dynasty however it was only during the Yuan Dynasty ( 11th – 14th Century ) That large quantities of white wares were produced . The Dehua kilns produced ware of chalky texture with creamy glaze , usually mould formed with impressed and moulded decorations of Lotus Petals and vegetal scrolls for the South East Market . The body however , still showed a slight bluish tinge due to the presence of minute quantities of iron oxide. This ware was named Qingbai ( Ch’ing Pai) or “ Clear White” Finished Qingbai porcelains were both plain and decorated with either incised or molded designs. Yuan Dynasty (11th – 14th Century ) bowl with Lotus petal pattern . These green wares or also known ( Lung Ch’uan) were produced in large quantities and fired at high temperatures. The glaze is fade green to opaque grayish green or grayish blue. The shade of the green depended on the temperature and the rate of reduction during the firing . Deliberate attempts were made by the potters to produce a glaze to resemble Jade which has always been highly favored in Asia. In the middle of the of the 13th century , new decorative technique of sprig moulding was developed using designs such as a pair of fish, Peonies and dragons pursuing a flaming pearls were used. The production of greenwares began to decline from the middle of the Ming Dynasty (1368 – 1644) . Yuan , Ming and Qing Dynasties. It is believed that blue and white ceramics were being made in China as early as the Tang Dynasty, it was not until Kublai Khan had unified China and established the Yuan Dynasty in the late 13th century(1279) that foreign trade in blue & white begun to flourish . The method of under glaze painting technique provided a new way for the potters to express their artistic talent . In the late Ming dynasty , they started to paint new designs such as children at play ,scholars, animals, birds and flowers in natural surroundings . The development of the Ceramic industry in China reached its peak during the Ming period. 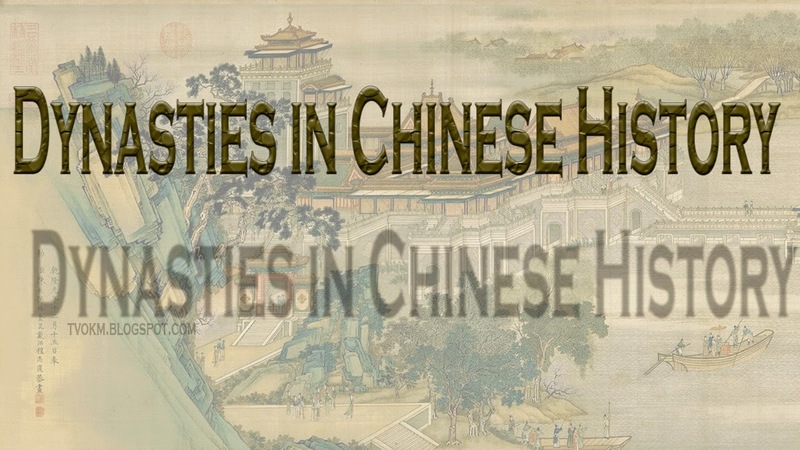 It was at this time that the Europeans established trade with China and Chinese ceramics became popular in Europe, Japan, the middle East and South East Asia. Overglazing enamelling first began to be practiced during the 15th century . During this period , different glaze colours such as red , yellow , turquoise , aubergine purpul and black was developed . Unlike underglaze Cobalt blue which is absorved by the unfired clay body , red or black enamels painted on a fired body could be wiped off by the artist if a mistake was made . During the reign of “Wan-Li” in the 17th century and when the government of China was breaking down , potters were forced to look for new markets for their wares.It was at this time that the Japanese, portuguse , Dutch & British arrived into China and the potters made wares with specific designs for each market . These designs were alien to the Chinese and some examples are the “ Kraak ware “ made for the Dutch & South East Asian Markets, the transitional ware and the large Swatow dishes and plates. Production ofthese wares continued till the 19th Century , when it was over-shadowed b the industrial revolution in Europe in the 19th century . The production of glazed ceramics in Thailand began in the Kingdom of Sukhothai in the mid 13th century . At first the of this glazed stoneware was not of good quality as the clay used was not well purified and the firing techniques were not always successful . These wares were usually decorated in the Underglaze painted iron technique and common motifs include classic scroll ,floral sprays and the fish medallion. At he same period , Thai potters were also inspired by the longquan celadons and they bagen to produce another type of ware known as Sawankhalok which were technically superior . Many of these items had carved or incised designs and were covered in a glassy thick glage. The colour ranged from translucent sea green to an opaque turquoise –blue. Production of these wares continued from the 14th into he early part of the 16th century . Covered boxes - Both lid & body decorated with Vegetal scrolls. Sawankhalok , 14 – 15th century. Wares with Islamic motifs were made in China during the Tang Dynasty (618-906) , but the earliest pieces made for export began during the Yuan Dynasty ( mid 14th Century ). The production of Islamic wares reached its height during the reign of Cheng-te( 1506-1521) who was a Muslim . These wares were intended for the Muslim market in West Asia as the designs were derived from Persian & Arab inscriptions and quotations from the Al-Quarn. Some of these were exported to Muslim states in Asia , notably Indonesia & Malaysia. With the industrial revolution in Europe and the coming of the European traders to South East Asia , the Europeans started to manufacture ceramics with Islamic motifs to capture the Muslim Market in the region . The Japanese ceramics were brought by the Dutch from ports in Japan to Batavia before being shipped back to Europe . Some of these items found their war to Borneo and the surrounding islands. In the Sabah museum the displays are mainly small vases , bowls and plates of the Kakiemon and Imari style. ( 18th & 19th Centuries). These pieces are not commonly found in Sabah . Dutch , German, English manufactures created ceramic plates and bowls for export to the colonies in South East Asia. They tried to compete with the Chinese ceramics which were flooding the markets . Commonly found in Sabah are blue & white Plates with floral designs , from ( England & Scotland ) and also the very colourful plates , saucers and bowls from “Maastricht” in Holland . They also included Islamic motifs on their ceramics.